More than this: the Engelbart mouse is a perfect emblem of his ability to use design to connect human and machine. But the ideas behind that quest are even more powerful – and likely to be longer-lasting. Photo (CC-BY-ND) John Chuang. Oregon-born engineer, inventor, and thinker Douglas Engelbart has died. He’ll be listed in many outlets as, mundanely, the inventor of the computer mouse. Certainly, the demo of that technology in 1968 had a profound impact. 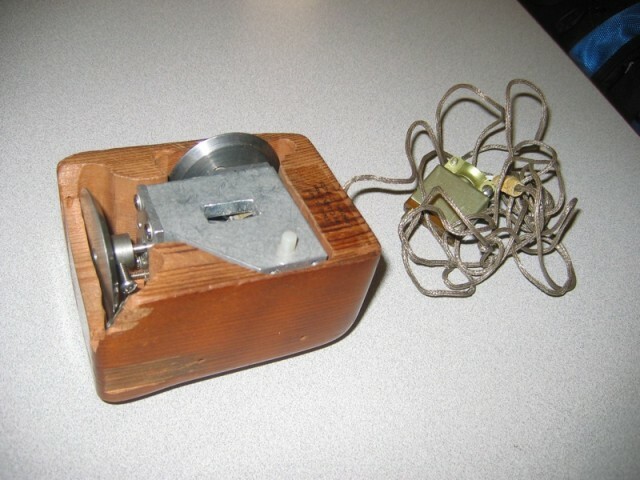 But what’s stunning is that even at that demo, the mouse wasn’t the most impressive thing Engelbart showed. At the same talk, he demonstrated videoconferencing and textual hyperlinks. And the real legacy of Engelbart was his computer humanism, an idea that spread virally to motivate the world of computing as personally powerful, communicative and expressive. What enabled Engelbart to look so far into the future, and what marks the significance of him and the computer today, is that he was part of the transformation of the computer as a tool for war into a tool that could extend human thought and imagination. And that’s not hyperbolic – he was literally trying to extend what the brain could do. He didn’t invent this notion, but would become perhaps its most vocal champion – and the first to demonstrate in design terms what concrete form that could take in technology. These issues are driven by the “urgency” of humanity’s challenges – an urgency that surely can still be felt in 2013, facing political strife and global warming. The historic context that was the stage for this transformation was both sobering and radical. Engelbart worked for the US military, reporting on these ideas for branches of the Armed Forces. But he also helped build Arpanet, the predecessor of the Internet. He built on the tangled legacy of individuals like Vannevar Bush – the man who headed the office that ran the Manhattan Project and started Raytheon, but who also had the sense to realize even before the second World War was over that computers could be turned to the peacetime application of making humanity better, of accelerating thought itself. Engelbart, too, turned to this task. This was not the computer as weapon, but computer as mind extender. It was that legacy that built the mouse, and the GUI, object-oriented programming and the Dynabook at XEROX PARC, the personal computer, Steve Jobs’ “bicycle for the mind.” It built, in other words, everything on which you’re reading this now, from the data infrastructure behind to the hyperlinks embedded in the article to the mouse or touchscreen or keyboard, the screen, the pixels. It was more than any invention: it was the idea. And because it was an idea, this idea can be yours, too, to apply or reshape freely. It’s an idea that comes out of a troubled and conflicted history – nuclear physics but also atomic bombs and radioactive fallout, creative computing and code but also conflict minerals and toxic waste. It’s partly the troubled history the country of which I’m a citizen, the one celebrating a holiday today, Engelbart’s country, that iconic symbol of freedom that has also had the world’s biggest industry in war. This matters to musicians because they’re the community that can make all of that sing. The next time someone worries that a computer might make music making too easy or too fast, they might be reminded that computers are designed to accelerate your brain – with all that comes along with it. Little wonder that artists like Onyx Ashanti imagine themselves as cyborgs, using music technology as a means to human augmentation, to transforming the reach of their ideas and sonic creations. This isn’t blind optimism; on the contrary, it requires immense realism and pragmatism. Now we have to shape this question of whether technology becomes something that really gives us independence. And that’s an exciting question, one worth getting up every day and trying to solve.